We are a young digital company developing and hosting world class mobile and web-based applications. Led by a team with 50+ man years of corporate experience globally. 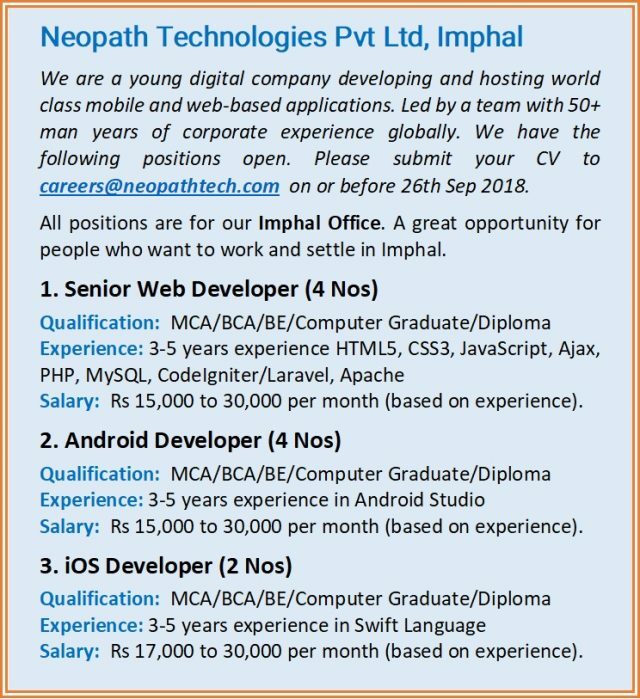 We have the following positions open for our Imphal Office. 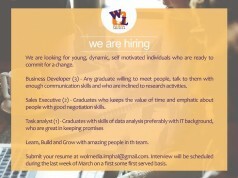 We provide a perfect opportunity for people who wants to grow in a fast-paced technology startup. 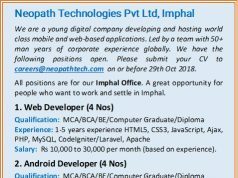 Please submit your CV to careers@neopathtech.com on or before 26th Sep 2018 if your profile suits the requirements. Senior Web Developer will be responsible for leading technical design and implementation of new products and enhancements. He will work in all phases of the development cycle, concept to implementation, troubleshooting and operations support. Perform unit and integration testing, continuous integration and deployment. Lead full life-cycle development of web-based applications. 3-5 years strong hands on experience in designing / implementing web solutions. Should be capable of independently handling small to medium web application development. Good to have knowledge and experience on Python, Node.js, Mogo DB, Django, AngularJS, industry best practices. 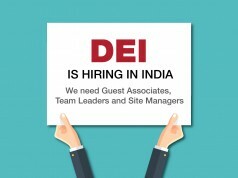 Salary: Rs 15,000 to 30,000 per month (based on experience). Android Developer will be responsible for technical design and implementation of new products and enhancements. He will work in all phases of the development cycle, concept to implementation, troubleshooting and operations support. Lead full life-cycle development of Android-based applications. Should be capable of independently handling small to medium Android application development. Good to have knowledge and experience in Material design, industry best practices. iOS Developer will be responsible for technical design and implementation of new products and enhancements. He will work in all phases of the development cycle, concept to implementation, troubleshooting and operations support. Lead full life-cycle development of iOS-based applications. 3-5 years strong hands on experience in designing / implementing iOS apps. Should be capable of independently handling small to medium iOS application development. Good to have knowledge and experience in iOS best practices. 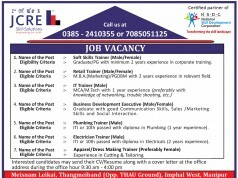 Salary: Rs 17,000 to 30,000 per month (based on experience).